This is the second of a two-part interview with David Heinemeier Hansson about his and Jason Fried's new book, It Doesn't Have to be Crazy at Work. In this episode, David talks about taking a calm approach to writing and marketing the book. Also, Wailin gets him to say #blessed (kind of) and has some anxiety about late-stage capitalism. We all get through it together! We’re taking your questions for David and Jason to answer in an upcoming mailbag episode! Leave us a voicemail at (708) 628-7850 and you'll be entered into a drawing for an autographed copy of It Doesn't Have to be Crazy at Work. Did You Order the Code Red? We tried to record an episode, but there were more important things to talk about. See you in 2019 with more episodes of REWORK. Chris Ruder, the CEO of Spikeball, shares a story about meeting Shark Tank investor Mark Cuban at a bar and committing a photo faux pas (a faux-to pas? ), a year before he taped his Shark Tank appearance. Dan Miller of Mulberrys Garment Care talks outsourcing, bootstrapping, and growing slowly in some leftover bits we couldn't quite fit into episode 14. 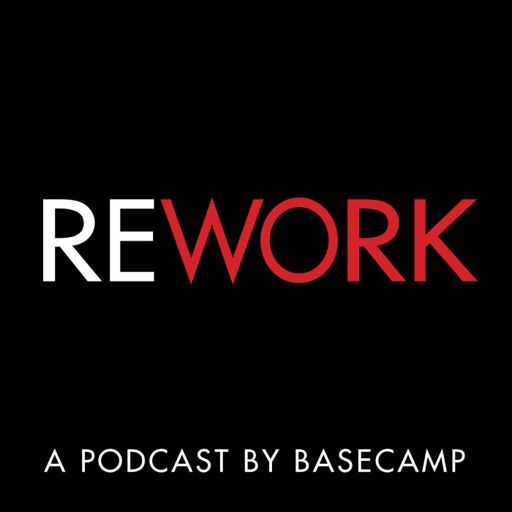 Special bonus episode where Jason Fried discusses some of the thinking that goes into making a very small change to the to-do feature in Basecamp. This is the second in a two-part series in which Jason Fried and David Heinemeier Hansson answer listener questions. If you'd like your questions answered on a future mailbag episode leave a message at 708.628.7850. Some leftover bits that didn't make it into the last episode.